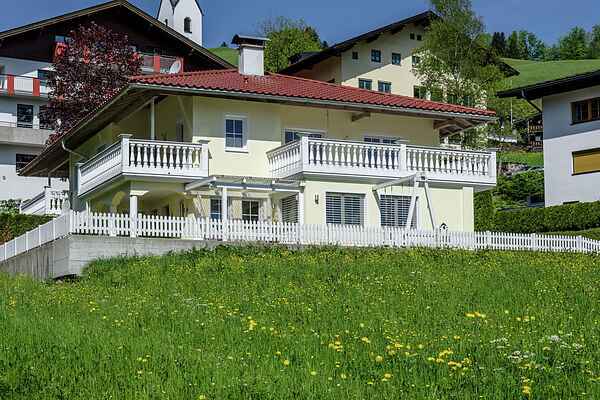 Thiersee, together with Villa Hannah, is nestled amidst meadows and forests on a sunny upland plateau. You have plenty of privacy in this villa, which is furnished in a modern and high-quality design, so you can feel right at home! With over 120m of space, you and your loved ones will have plenty of room to enjoy a relaxing holiday. Come enjoy the delightful offerings of the area's pubs and restaurants. Here you will experience that renowned Austrian hospitality and Tyrolean good cheer. In winter, Thiersee is a mecca for winter sport enthusiasts seeking a quieter place to enjoy their sport. Whether alpine or cross-country skiing, there is something for everyone here. This ski area is ideal for families and if you are looking for a somewhat higher elevation then the biggest ski area in Austria, SkiWelt Wilder Kaiser Brixental, is also not far away. There are also opportunities for sleighing, ice skating, winter hiking and much more! Thiersee is a great holiday destination in summer as well. The bathing lake is a great place to go for many summertime activities, such as beach volleyball, high diving and paddle boating. And the water of the lake is very inviting, with temperatures of up to 25! The Landl family-friendly swimming pool is also very close by and offers everything to delight children. The area's offerings also include activities such as fishing, hiking and mountain biking. Yet there's more Thiersee has quite a lot to offer on the cultural front as well, such as the Passion Play Theatre located right on the lake. If you want to escape from the stress of the daily grind then this is the perfect place.